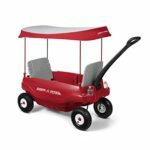 An award winning, classic Step2 wagon for pulling kids around the block, the beach, the zoo, or any other place where kids may want to ride. 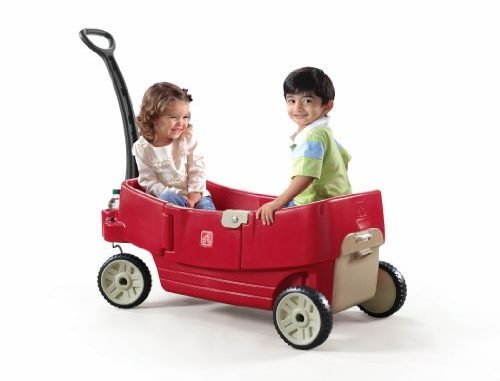 The wagon can also be used to haul mulch around the yard during gardening when the seats are converted to a flat bed. 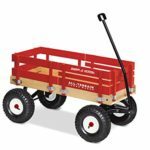 Wagon is made in USA of US and imported parts. 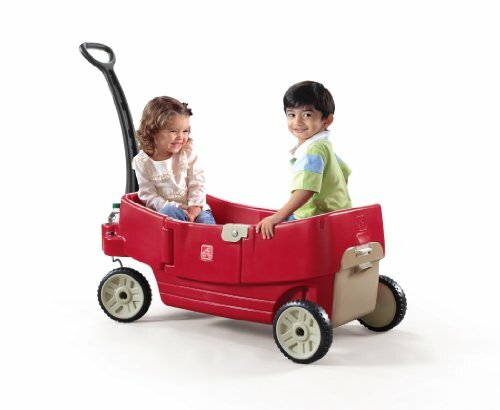 The wagon seats flip into a flatbed, seat or table. Inlucdes easy access door for parents to open and close. 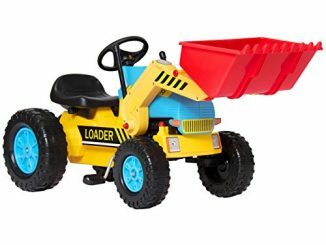 Large wheels included for a smooth and enjoyable ride for little ones. 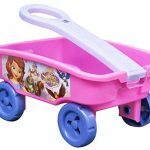 Lots of storage in the rear compartment and the leg wells when this wagon is converted to a flat bed. 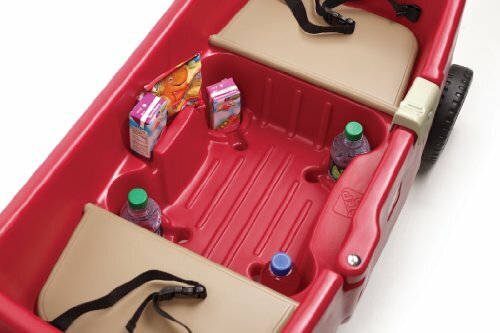 Wagon includes six cup/snack holders. 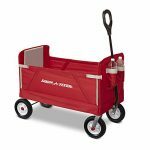 The handle folds under wagon for easy transport and storage. Safety belts included for added security. 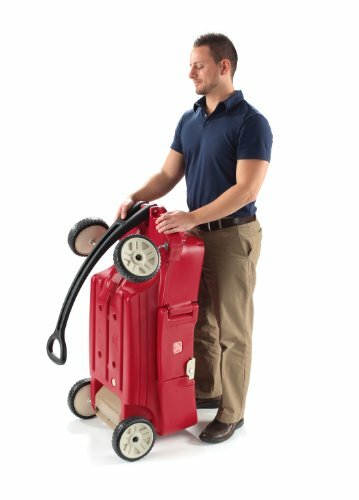 Features Whisper Wheels for a smooth ride. 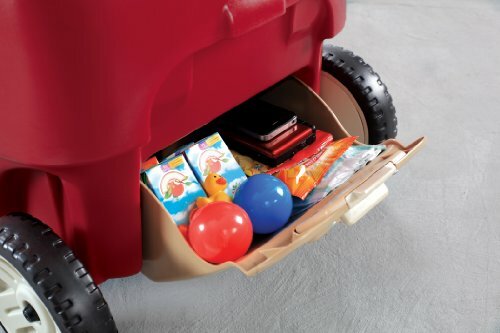 Weight limit in wagon: 75 lbs (34.1 kg). 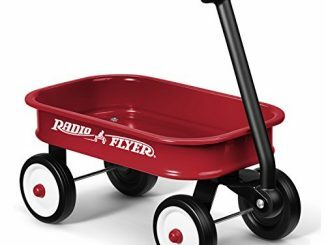 Adult assembly required.A wagon with with 2 seats that flip into a flatbed or table. 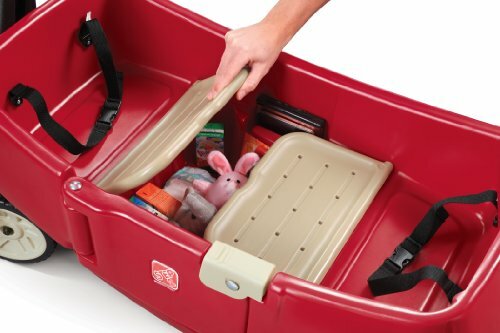 Easy access doors for kids to open and close. 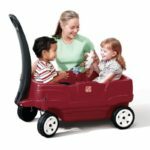 Features large Whisper Ride Wheels for a smooth and enjoyable ride for toddlers and preschoolers. 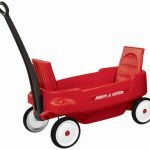 Handle folds under wagon for easy transport and storage. 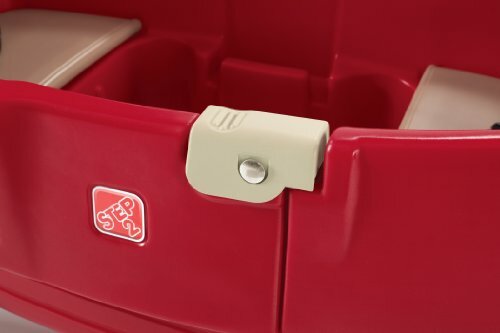 Includes six cup or snack holders and safety belts for added security. 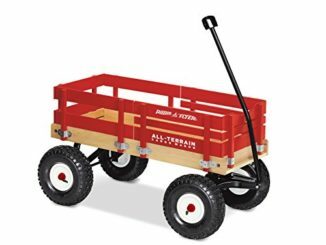 A wagon with lots of underneath storage in the rear compartment or in the leg wells when converted to a flat bed.